Where did you get the recipe? I'm curious. 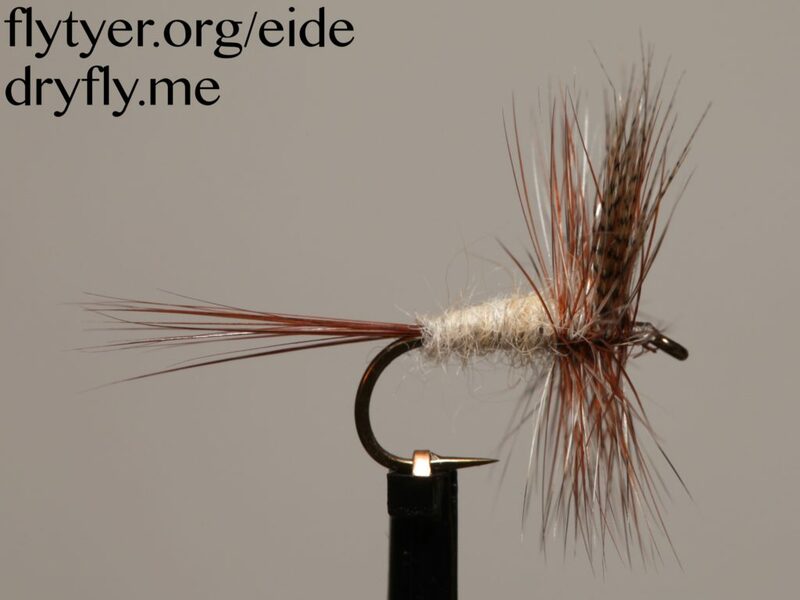 The way I saw the fly tied was with bleached beaver for the body dubbed over orange thread, I think. The tail and hackle were mixed grizzly and brown. I loved the way the fly looked dry and wet. Maybe this will generate more dry fly discussion. Thanks for posting this one! PS: when I tues commercially I bought 94840 hooks by the thousands, especially 14-18. We had hundreds of empty hook boxes in big boxes. The kids played with them and the wmpty thread spools. No wonder one of my hands doesn't work. I hope you'll post more dry flies! The recipe is from "Tying Catskill-Style Dry Fly" by Mike Valla (page 148) - noted as: "a hybrid of the Darbee and Flick versions"
Thanks. That's certainly more accurate than my version. Yours is lovely! Do you fish with flies like this for trout? Just started tying these this winter, have tried them out a couple of times, but got some river fishing later this summer where they will be perfect! Great! I hope you enjoy casting to the ring of the rise Eide. I'd enjoy hearing about how it goes for you. Trust me, a good March Brown dun pattern during a hatch can draw some seriously hair-raising strikes! Despite my screen name, the March Brown hatch is my favorite one to fish. Nice fly. But the recipe I have is from the catskill tradition patterns and it was done by Dave Brandt.the body calls for ruddy tan red fox.